Universal protocols and connection types. Supports the protocols ccTalk, Parrarell, RS232.Update the firmware of the coin acceptor by the user, or remotely. Possibility of user programming on any coins or tokens. The software allows you to add or remove the denominations of coins at any time. New firmware will be available on our website! 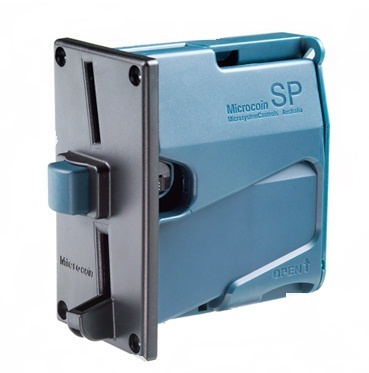 The coin acceptor is equipped with a module that allows to work through the USB interface. The standard overlay is 115mm. The kit has all the necessary hardware. Patented system for eliminating blockages. Power supply 12-25V. The set includes a power cable with a splitter.